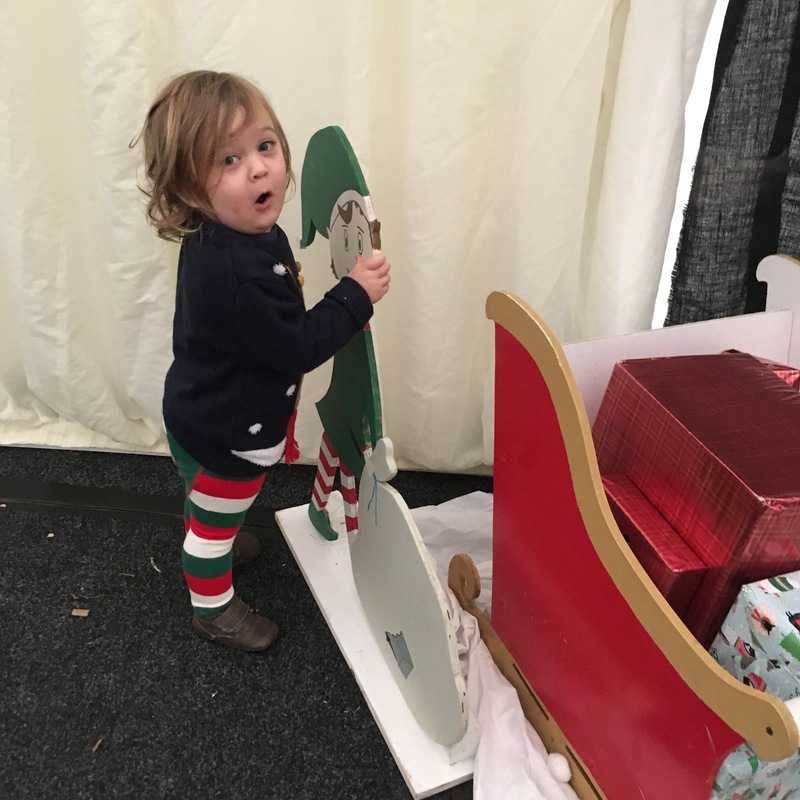 Christmas and toddlers… what a crazily fun mix! I’ve always loved this time of year. The anticipation, the festive songs on the radio, the way a few sparkly lights can brighten up even the darkest of corners. The fact it’s acceptable – encouraged even – to drink Prosecco at lunchtime. When my now husband proposed, on a sunny beach in Corsica, I had no doubt I wanted a Christmas wedding. And when we did tie the knot, on winter solstice in 2009, we had our own bit of Christmas magic… it snowed! For years, the only thing on my real Christmas wish list was a baby. Now, this year will be my boy’s second Christmas. And it’s unlike any that have gone before. This year though, he’s a toddler. And toddlers and Christmas, I’m discovering, are a crazy fun mix. Sonny Jim has absolutely NO idea what it’s for…But he has embraced the concept of an advent calendar with unbridled joy. We’ve stuck stars on fairy cakes and made salt dough decorations. I’ve attempted to wrap presents while he runs off with the tape…or walks all over the paper. He developed a real attachment to a wooden elf at a winter wonderland – and then blanked Santa. I’ve confused him completely by putting him in a jumper that flashes. Every other top he wears is now found wanting. I’ve never had a Christmas like this before… and next year Sonny Jim will be a whole year older – and different all over again. So right now I’m making the most of every madly magical moment.